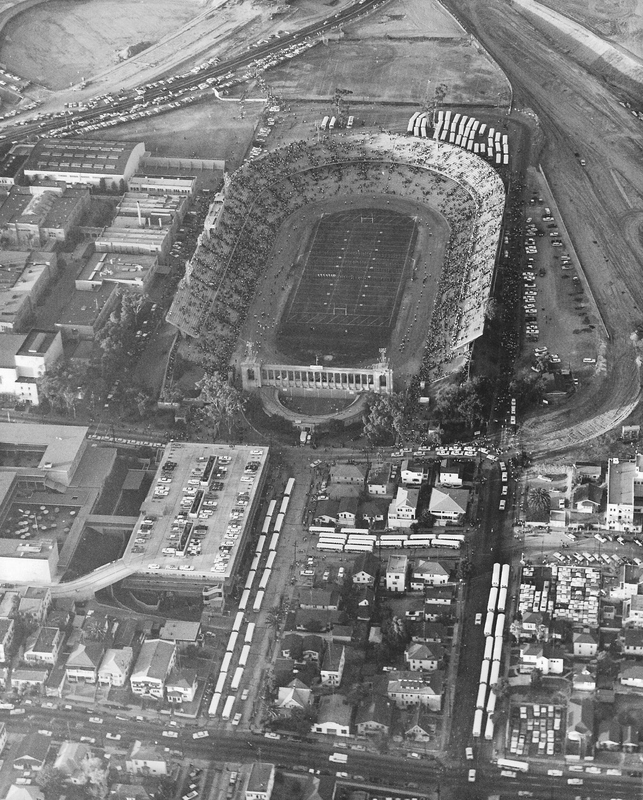 The stadium as it looked in November, 1961. 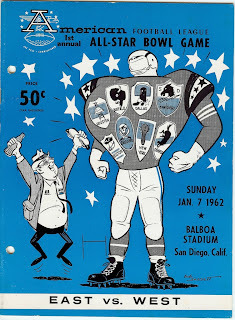 Two weeks after the Houston Oilers defeated the San Diego Chargers by a score of 10-3 in the 1961 AFL Championship Game, the league’s best and brightest gathered in San Diego to participate in the AFL’s first all-star game. 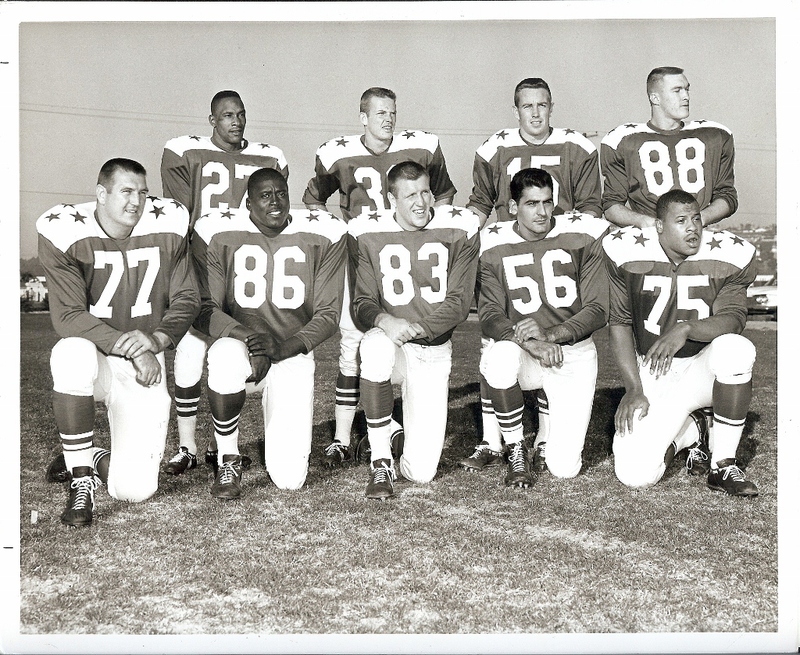 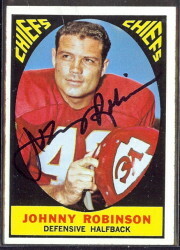 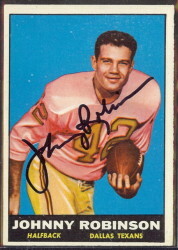 The all-star squads represented either the AFL’s Eastern or Western Divisions, consisted of 29 players, and were led by the coaching staffs of that year’s division winners, the Chargers and Oilers. 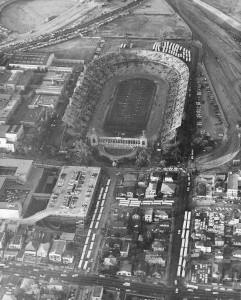 The all-star teams trained at local military facilities during the week leading up to the game, and on January 7, 1962, met at Balboa Stadium in this first all-star classic. 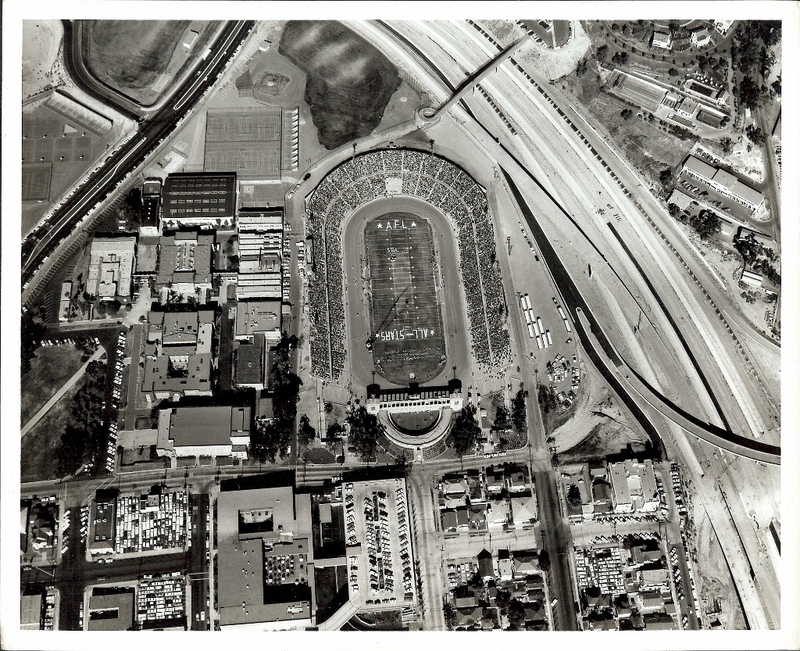 Some 20,973 fans attended the game after paying $5 and $3 for reserved seats, while general admission was only $2. 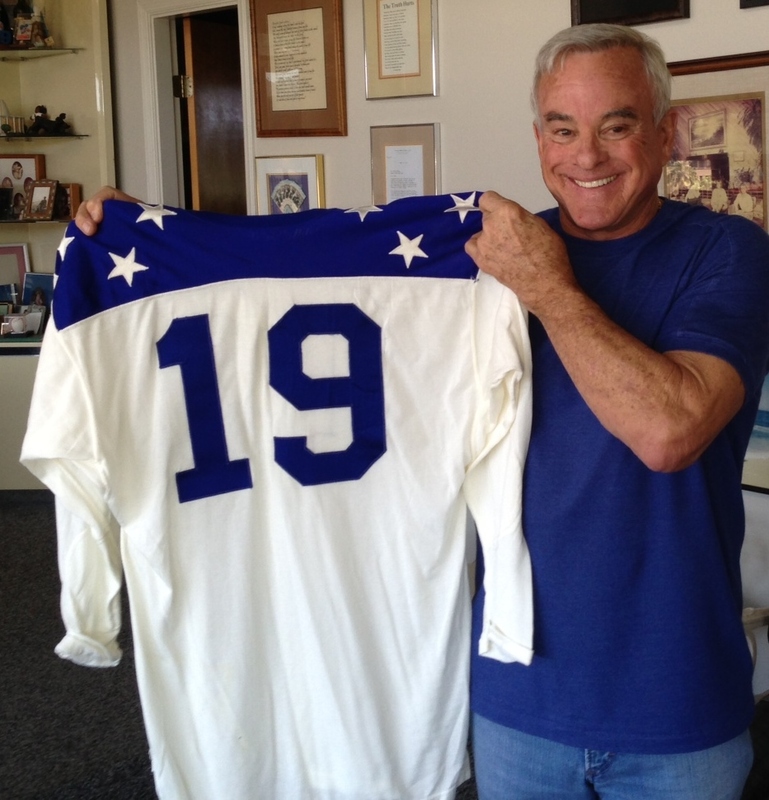 The AFL honored San Diego’s many servicemen and women, by giving them a $1 discount if they presented their active duty cards. 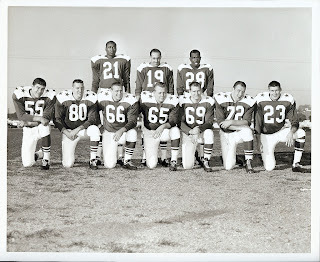 The captains (Jack Kemp and Bud McFadin of the West, and George Blanda and Fred Bruney of the East) met at midfield, and the coin flip resulted in the West kicking off, while the East chose to defend the south goal. 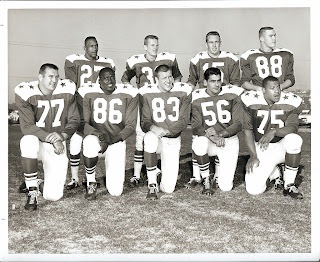 The action was fast and furious, and the East opened the scoring with a 32-yard field goal by George Blanda on the Eastern squad’s second possession. From that point forward, the game was a battle between two potent offenses, with most of the action coming from the arms of quarterbacks, Blanda and Cotton Davidson. When the final gun sounded, the West had won by a score of 47-27. 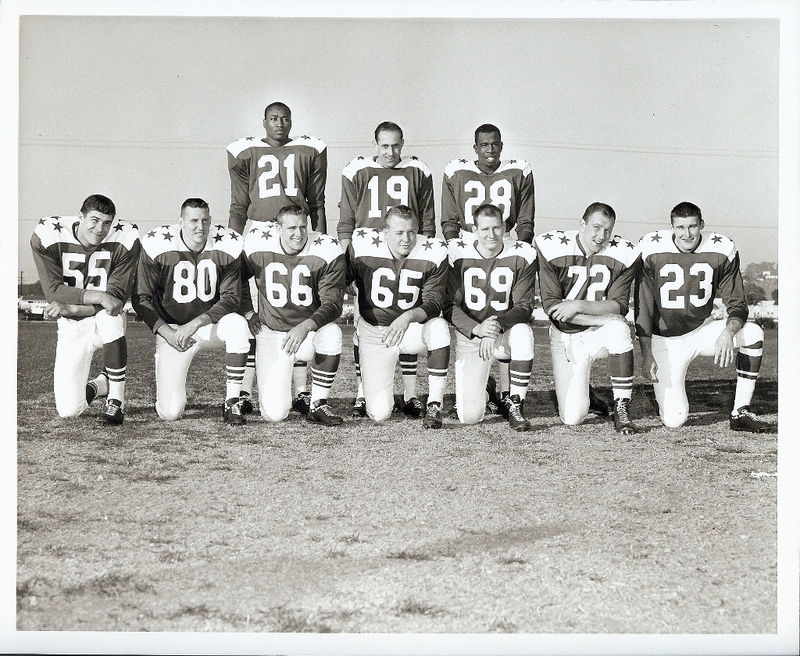 Blanda had thrown for 163 yards and two touchdowns, and in a performance that earned him Outstanding Player honors, Cotton Davidson led the West to victory with 239 passing yards and three touchdowns. 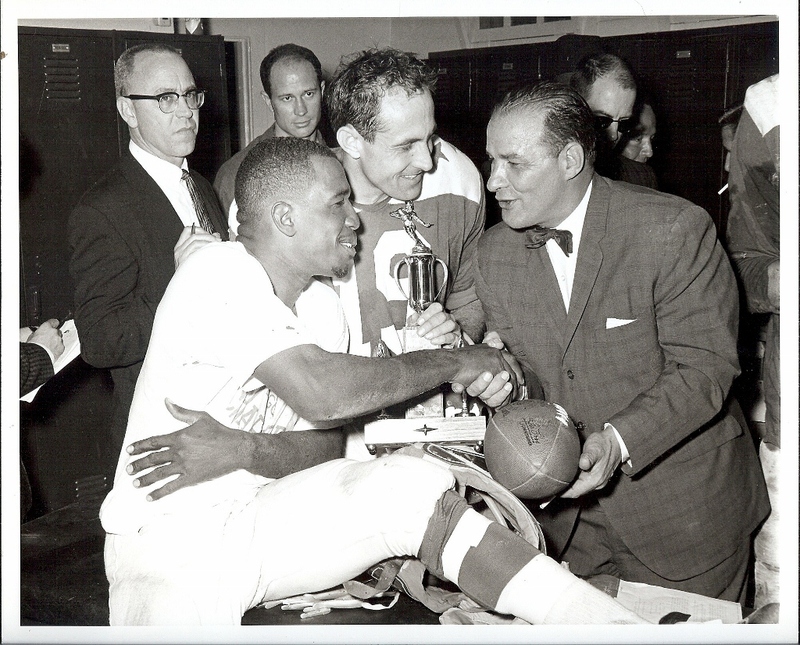 Abner Haynes (l), Cotton Davidson (c) and Sid Gillman (r) in the winner’s locker room. 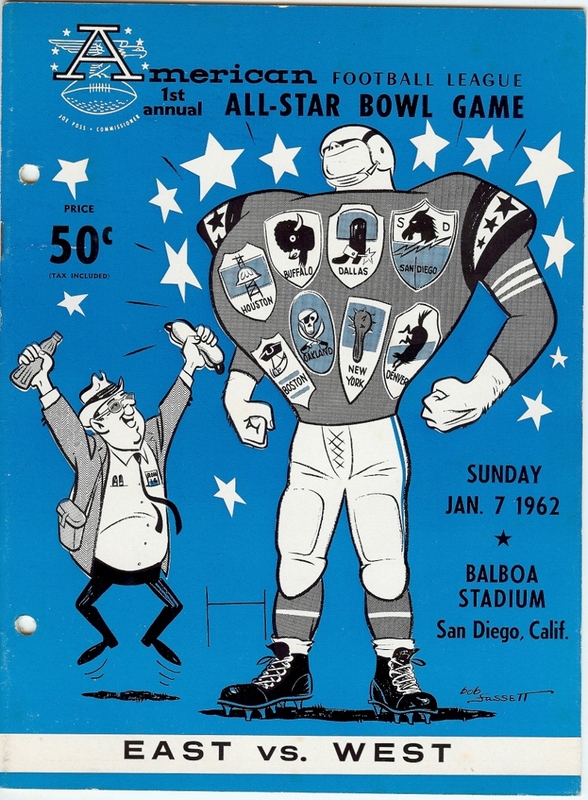 San Diego played host to the first three AFL All-Star Games, before the game was to be held in New Orleans in January, 1965. 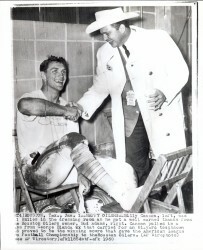 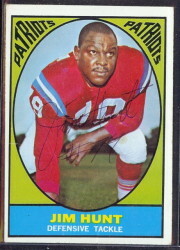 That game was moved to Houston shortly before being played due to racial discrimination suffered by many of the all-stars while in New Orleans.